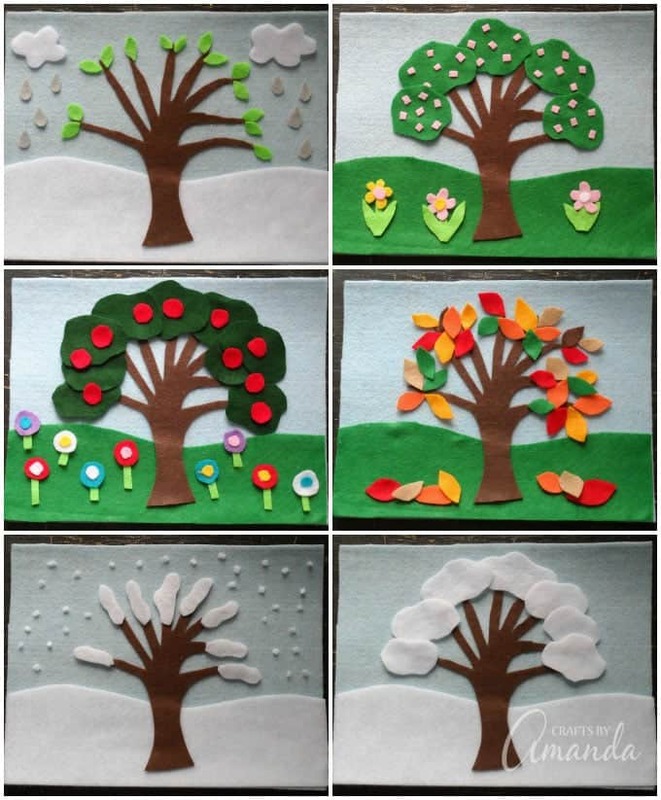 Felt Board Craft: 4 Seasons Felt Board Craft, great for kids! 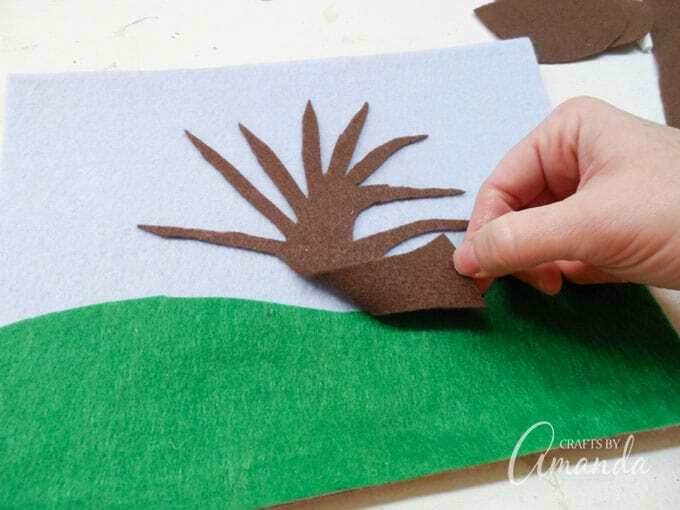 This felt board craft can be used any time of the year, not just for holidays. 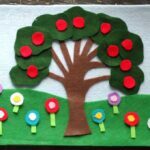 Help your little ones learn about the changing of the seasons through play and discovery, making a great nature craft for kids! 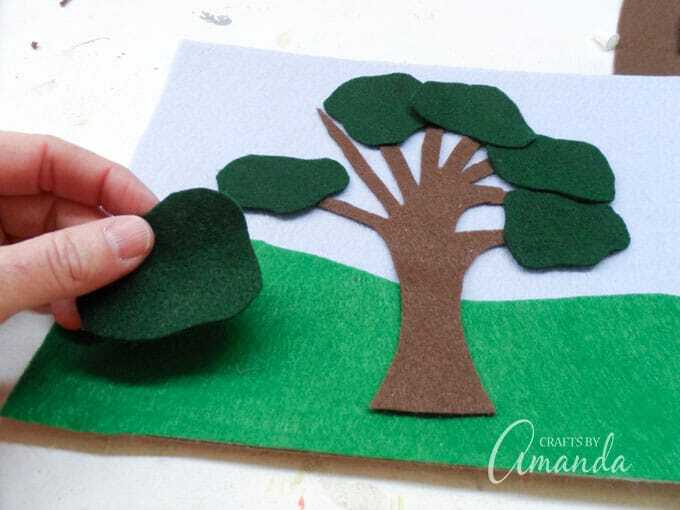 Using this felt board craft, you can keep the background the same and change out the environment to reflect the weather during different parts of the year. 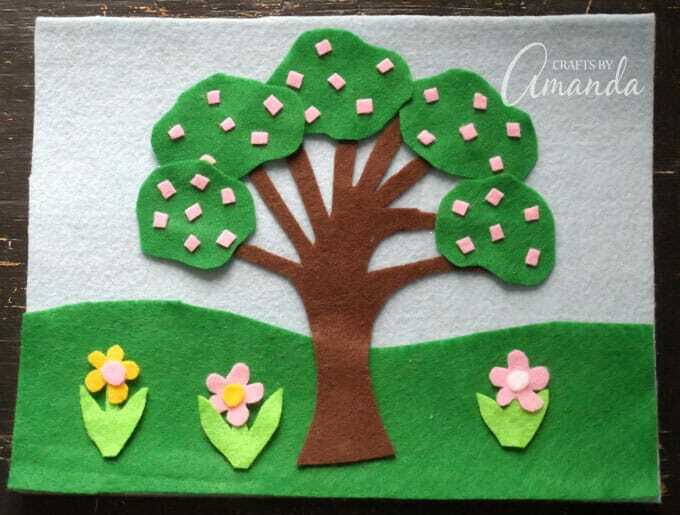 This felt board craft is great for anyone, no matter where you live. If you are in a warm climate where snow never falls, simply adjust the foliage and plant life pieces that you create to reflect that. If snow is a common occurrence for you and you don’t reach balmy temperatures, even in the middle of summer, simply adjust your accessories to account for that. 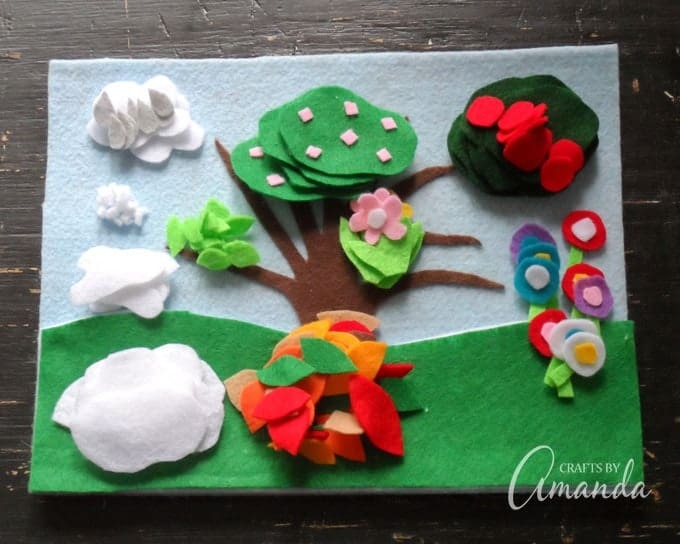 Make this felt board to coincide with your seasons! 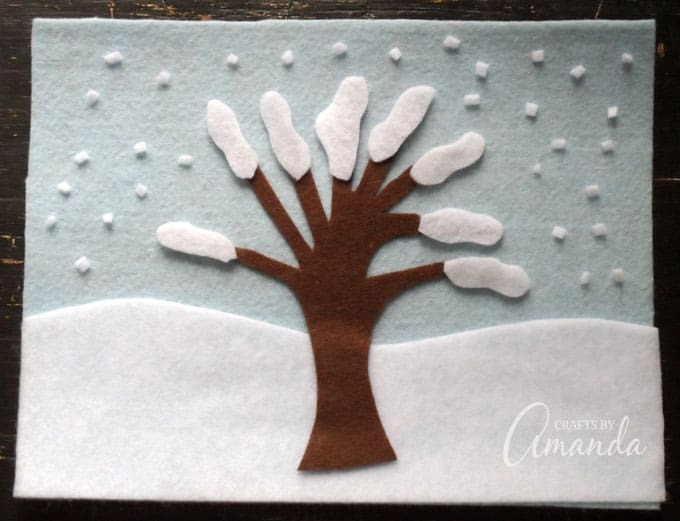 Create a chilly winter scene with small pieces of felt to look like snow! 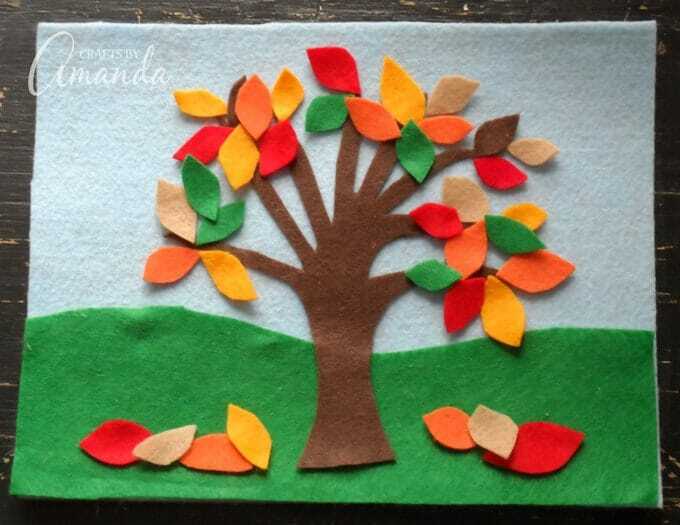 Or make a work of art with different colored leaves for Fall! 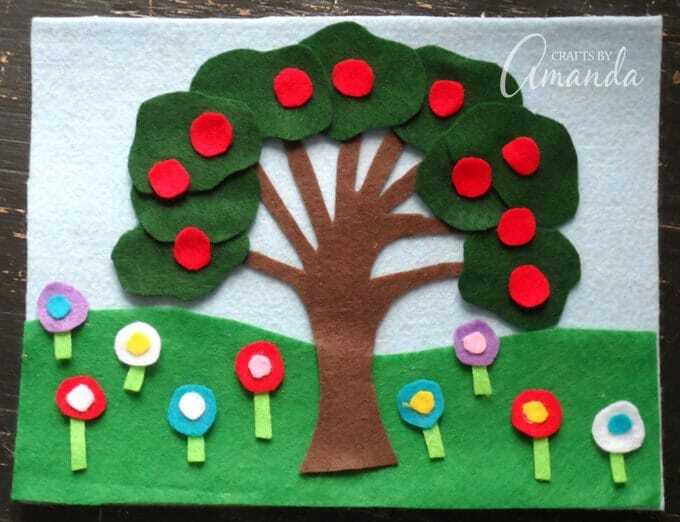 Add some cherry blossoms to trees and some pretty flowers for springtime! 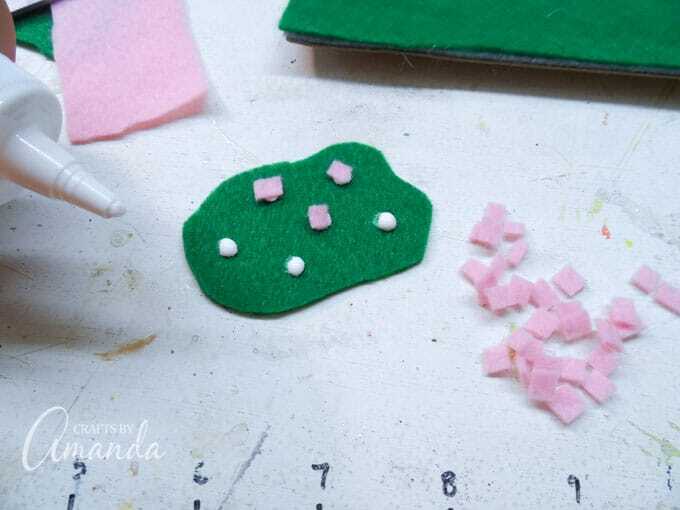 There’s a printable supply list and instructions below for this fun felt board craft! I originally made this project for my monthly Chicago Tribune column. Start out with a piece of cardboard. I always save the back off of a writing pad when I’m finished with it, but cereal boxes work great too! 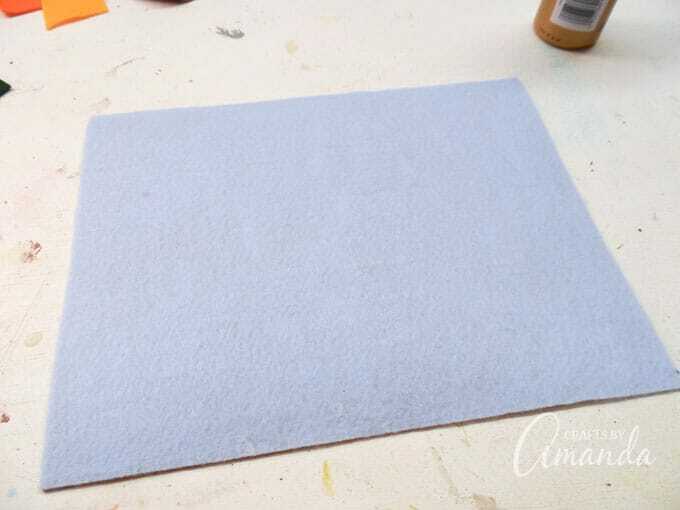 Glue light blue felt onto the cardboard for your base background. The land will be green felt for warm months and white felt for snowy months. When you glue down the tree, only glue the top half. That way you can lift the bottom of the tree to change out the land. Cut out pieces for the trees and flowers, rain and snow, apples and blossoms, you get the idea. You can even add animals and birds, whatever you want to do! 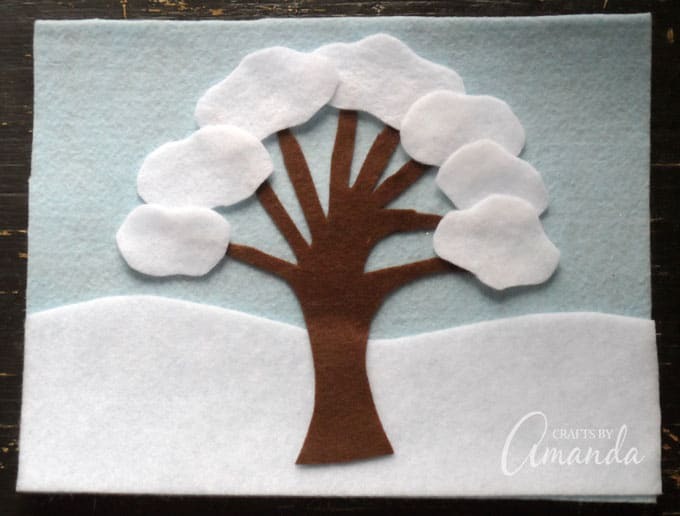 This felt board craft can be used any time of the year, not just for holidays. 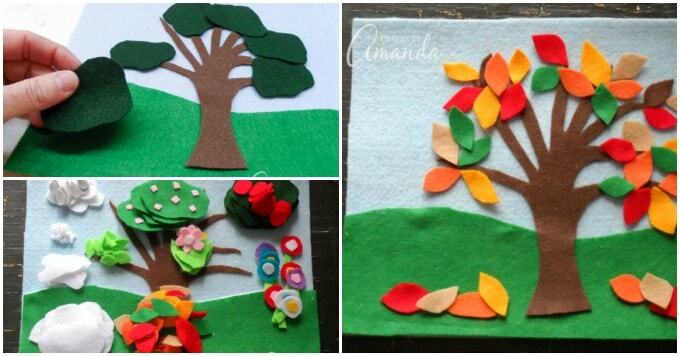 Help your little ones learn about the changing of the seasons through play and discovery. 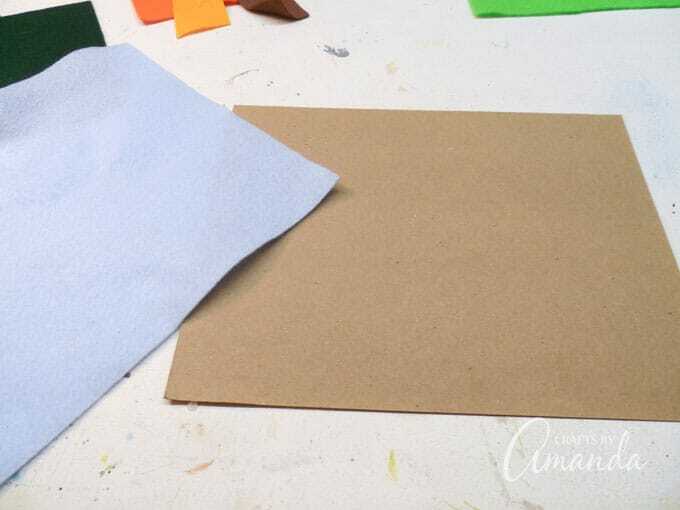 Cover the cardboard with white glue and smooth it out with your finger. Attach the light blue felt to the cardboard and trim any excess. From the white and the green felt cut each sheet in half. From one half of each color cut your “land” (grass for warm months and snow for cold months). Do not glue the land to the board. Cut a tree from brown felt. A simple trunk with several branches works perfectly. Glue only the branches to the board, leaving the trunk of the tree loose so you can lift it to change the land when changing the seasons. Store pieces in separate zipper sandwich bags by season. To attach, simply place felt pieces on to the board and they will stay in place. Keep the board flat on the table as pieces can fall off. This post was originally published on this blog on Feb 22nd, 2013. LOVE this idea! Perfect for beginning of school! woooow this is awesome, it’s remmembering of my childhood, my mum told the xmas story always with such a felt board. she had many figures the natives one with off the sizes so when they would left the board they became tinier and tinier. This is fabulous! What a perfect aid for teaching the seasons! We will have to make this with Caleb when he’s a little older! What type of felt are you using. All the felt I find does not stick to itself. And almost impossible to glue Velcro too. Just regular felt from the craft store. It’s not a permanent type of “stick”, it’s more of a “stay in place” type hold.